At the end of World War One a number of weapons captured form German, Austria/Hungary, and Turkish forces were rounded up to serve as gifts to townships across Australia. While committees were set up to oversee the distribution to townships and cities some of these were selected to form what is now the Australian War Memorial collection, and others were given to Army units linked the guns capture. It was also suggested that some of the smaller weapons be allocated to schools, although it appears the then Minister of Education stepped in to stop this happening. [i] Even so guns did find their way to Scouts groups and to some private schools, like King’s College. One thing is clear however, it was not the ‘Messines Gun’ which one ex-digger had talked about back in March, 1921. This gun he said had been earmarked for Parramatta as early as 1917 soon after it had been captured on 17 June 1917 by the 13th Infantry Brigade (4th Australian Division). 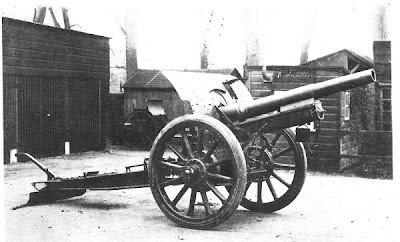 [x] It was a light artillery piece known at the time as a ‘whizz-bang’ but whether it was or was-not allocated to Parramatta remains unclear but was certainly not the gun acquired by the Mayor. The problem of its being too big to be placed in front of the Town Hall was resolved by a decision to place it in the flower plot next to the Centennial Fountain. [xi] The gun remained a part of the Parramatta landscape for the next 33 years although at some stage over this time it was moved to Alfred Park, near Victoria Road. 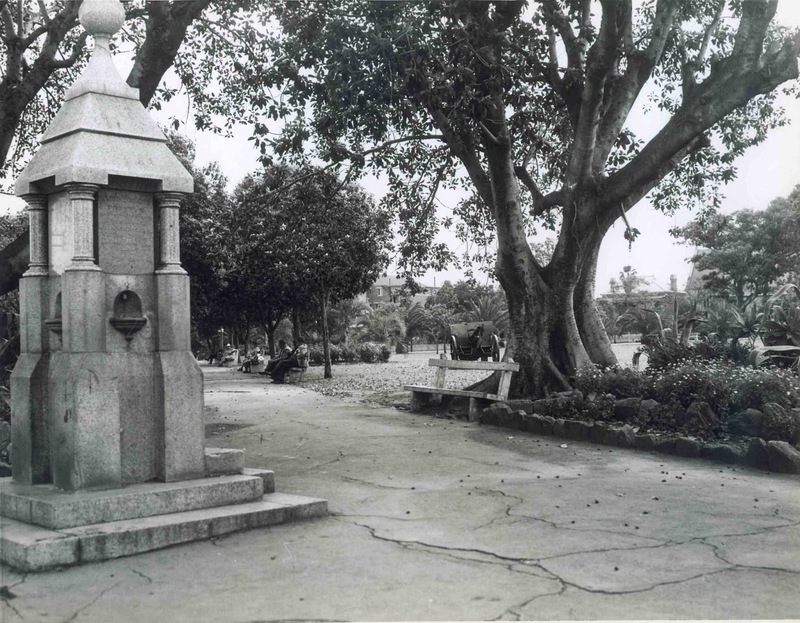 Finally in 1954 the Returned Soldiers League, City of Parramatta Sub-branch wrote to the Parramatta Council recommending that the gun be removed as a part of the beautification project being undertaken at Alfred Park. [i] In July the Council accepted this proposal and the gun was sold for scrap to Messrs Albert G. Sims Pty Limited, for the sum of 5 pounds. This money was then donated to the Children’s Christmas Party for 1954.